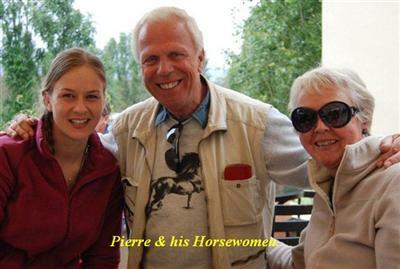 We, Pierre and Nella Veldhoen, welcome you into our world of Friesian horses. Both of us were born in the Netherlands. 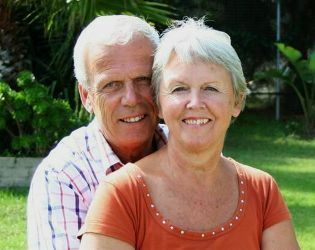 Before retirement, Pierre served as a marine-pilot in the port of Rotterdam for 25 years. Nella has always been a keen horse breeder, and her greatest dream is to produce show-quality horses. 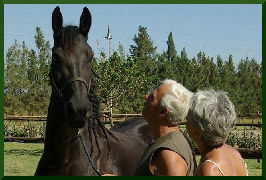 We are now settled in South Africa (since 2000), where we continue our hobby of breeding, riding and driving our Friesians. 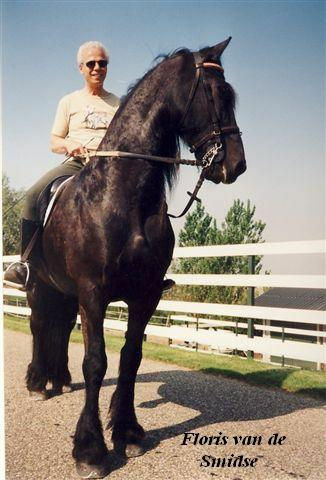 We started out with American Saddle Horses and Boerperd in the 1960's, but during the 70's and 80's we aquired Dutch Warmbloods. 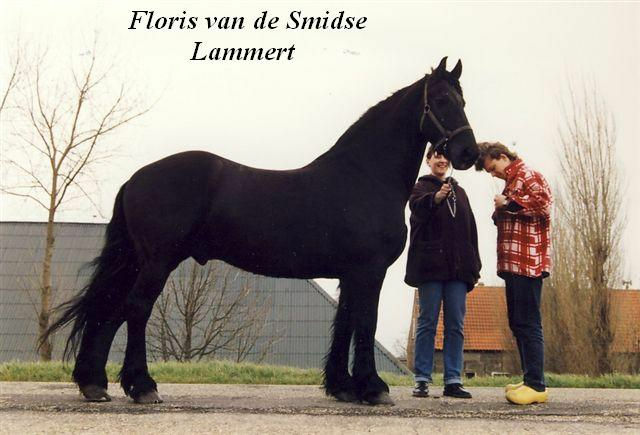 With our retirement approaching, we started looking for a breed with a more quiet temperament and in 1990 the Dutch Warmblood horse was swapped for our first Friesian horse! Pierre wanted to qualify for driving and we therefore both started driving classes, at first one-in-hand, and later two-in-hand. This allowed us to obtain the coachman's-license (het koetsiersbewijs) and the driver's-license (mendiploma). 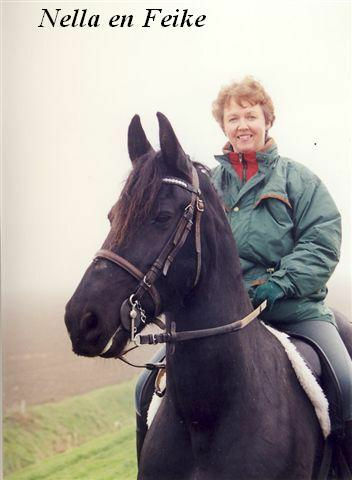 In 1982 Nella qualified for her horseman's-license (ruiterbewijs). 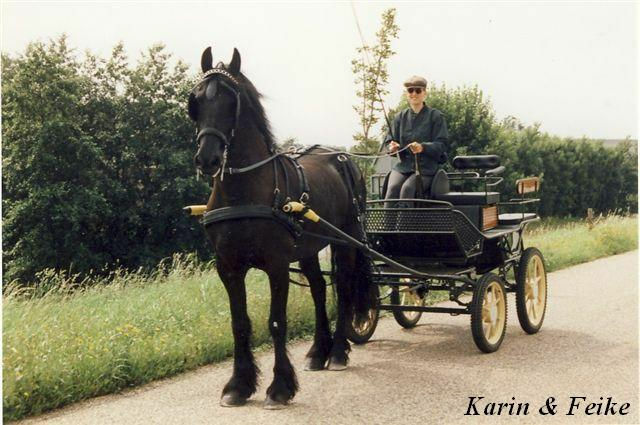 In 1990 we bought our first Friesian stallion - from a model-mare and of a so called reference-covering. 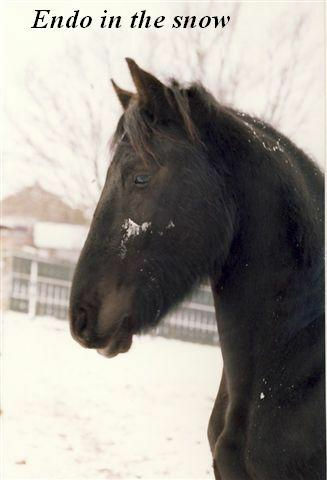 We intended to keep him for the stallion inspection, but this dream was dashed when he died. We then bought ourselves a gelding to ride and drive on the public road, but much to our disappointment this gelding also died. So as you see, our start with the Friesian breed was not a happy one! The purchase of our present mares was not planned at the beginning, but that's what it became. 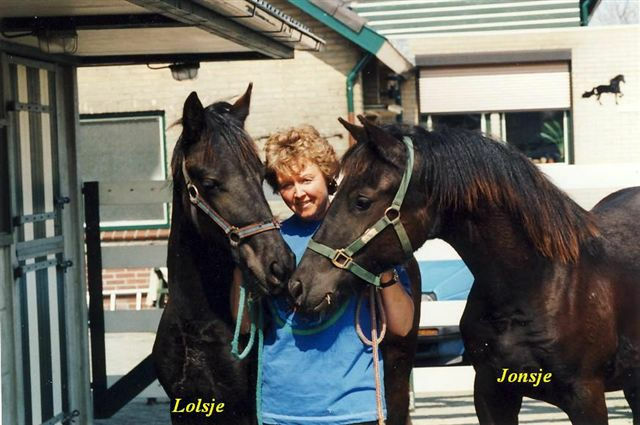 These mares are from the short mare pedigree 129 which originates from the pedigree Matsje (Model-Preferential Performance-Mother). 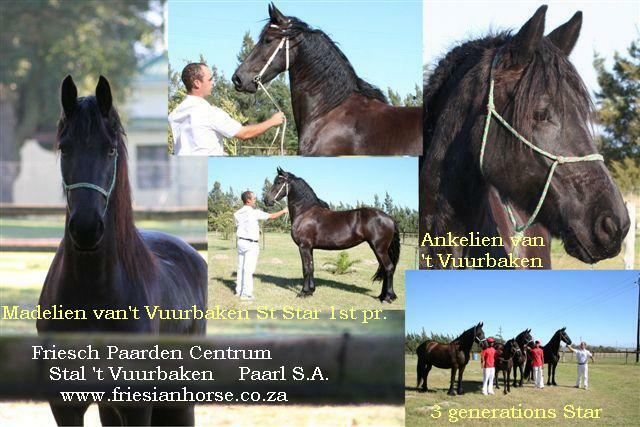 The studbookhorses Franke 252 and Sjaard 320 are also from the same pedigree. 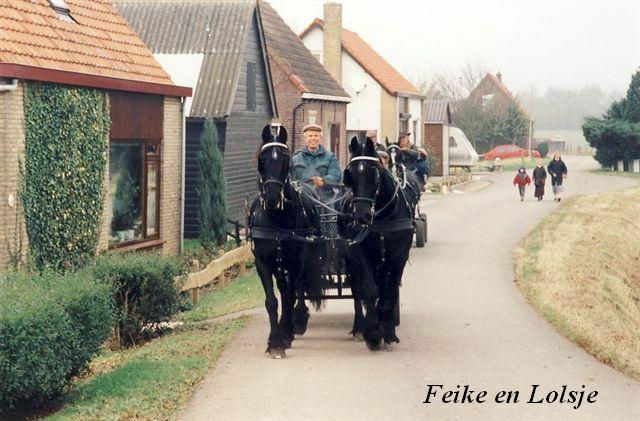 We emigrated to South Africa in 2000, bringing with us five mares (and one gelding for sport-related activities) to start our Friesch Paarden Centrum (Friesian Horse Centre), with the main intention of contributing to and upgrading the local breed. Our motto is to breed quality rather than quantity.